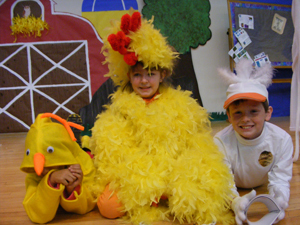 From a very young age, Topeka Collegiate students begin performing both on and off stage. 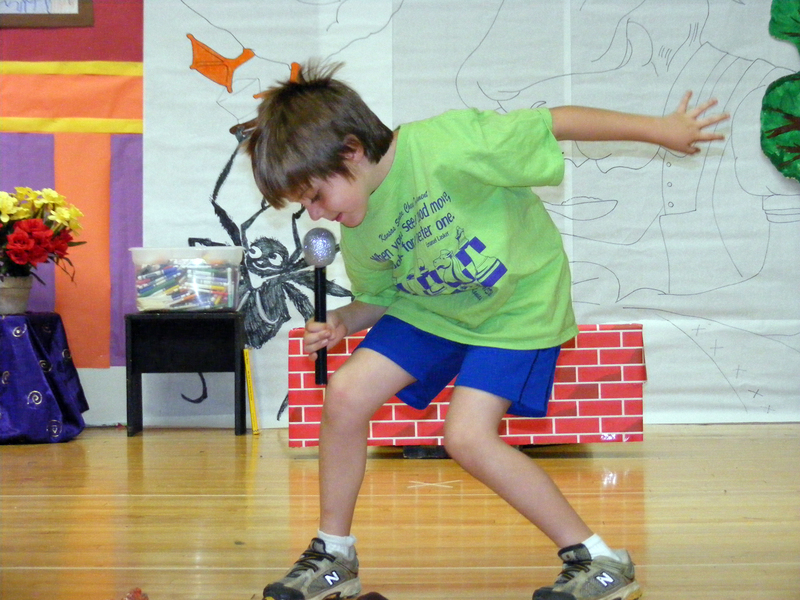 Every class, from preschool to 8th grade, performs in at least one assembly per year. Some grades, including kindergarten and first grades, put on a second large performance. Kindergarten does a puppet show about safety in front of parents. First grade puts on a lovely poetry tea each year around Mother's Day and each child recites poetry and sings for special guests. 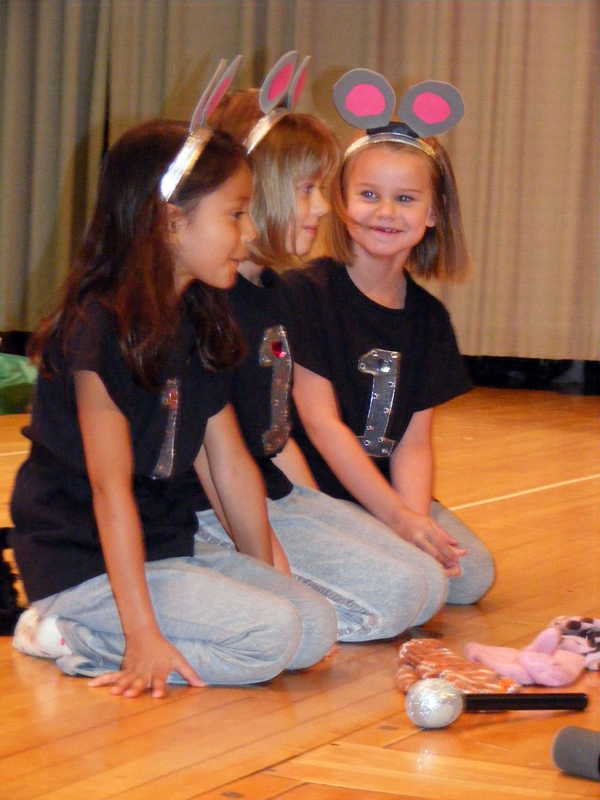 As the students get older, they begin participating in the Middle School Play and the musical. History Day, a required activity for all Middle School students, allows young scholars to speak or act in front of judges to present a historic topic. By the time a student graduates from Topeka Collegiate School, they are well-prepared to speak in front of a group or audience. 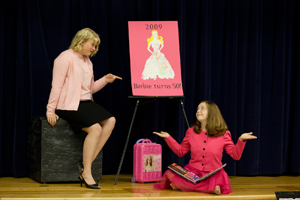 Many go into high school and play major roles in the theatrical performances at a higher level. Besides providing a fun and interesting way for students to express themselves, TCS helps develop the ever important skill of public speaking. Alums tell us they use the speaking skills they learned at TCS in high school, college and their professional lives. Read Why Schools Need to Improve Teaching Speaking. "From the time they are in Pre-K, at an age appropriate level, they learn to speak in front of adults."